Cellular and communications provider. 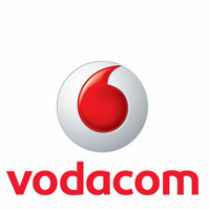 Please post all Vodacom complaints here. Would you rather complain on Twitter? Use #POFvodacom in your tweet and it will automatically post to our complaints stream. Vodacom owes me R1400 rand for money they deducted unlawfully. Now they take 15 days with a refund?????? No one can assist me and has escalated the matter now for around 10 days with no positive outcome….. I called the call centre on Saturday as I discovered that I was being billed for an additional account which I have no knowledge of. I suspect that this was the original number that was allocated to the Tablet A6 I ordered in November 2017 & which was returned as the tablet was not the correct one I ordered. Be Carefull your “Vodacom LTE” only works 3G !!! Since day 1 it is extremely slow and only works sometimes. Despite 3 logged queries with Vodacom, I have had no help !!!! Please someone anybody, HELP !!!! I’m very disappointed in Vodacom. The level of customer service conducted by Vodacom is staggering. vodacom is starting to loose many clients, they have really poor service as network and at the consultants, they have such absurd attitude, they disgust me. I want to know why am I billed for lines that are not used and for expired lines?I also want to know if Vodacom ever pays REFUNDS?I have been waiting for mine since June 2012.
what a pathetic below awful service i received from the sandton city branch, after i purchased the phone the sales lady didnt even bother to show me that the phone can switch on and it works. she kept saying i must hurry up she wants to go home, what is that. This is so so true.Im one of those people.Vodacom owes me a refund since June 2012 todate.There’s one Ashwin who took my money. When I go the the vodacom4me website I expect the reported outstanding balance to be accurate. Which it is not. I pay the amount as reported on the site and then get disconnected and threatened with a permanent suspension notice. This after being a high-paying vodacom client for several years. Pants on Fire is a social platform for customers and clients to work together to resolve issues and problems between the two parties.